DES MOINES, Iowa — The Democratic battle in Iowa was so close that both Vermont Sen. Bernie Sanders — the 74-year-old socialist with no major endorsements — and Hillary Clinton left the state without a clear-cut victory. The race was too close to call when the candidates headed to the airport to escape an impending blizzard, bound for New Hampshire and its primary just over a week away. 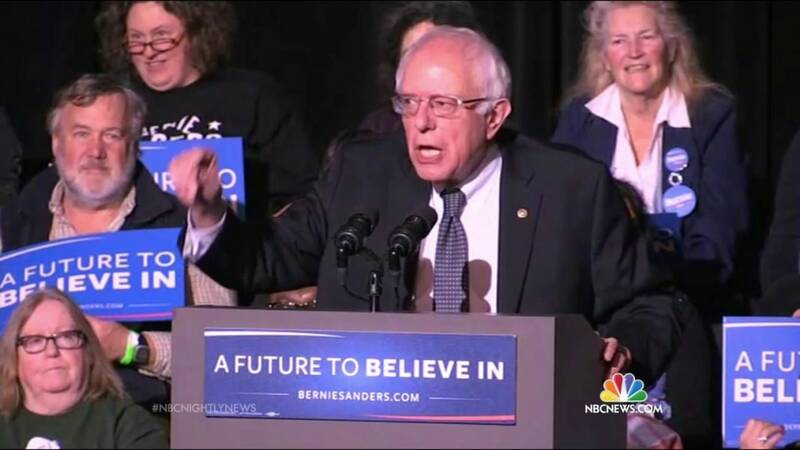 “It's not clear post-Iowa what Senator Sanders’ path to victory is,” Fallon added. His claim got a boost at around 4:00 a.m. ET, based on a statement from the Iowa Democratic Party which NBC News reported showed Clinton was the apparent winner. The narrow victory in Iowa could offer a whiff of vindication for Clinton, who in 2008 lost Iowa in humiliating fashion to Barack Obama when her third place finish set in motion the destruction of her first presidential bid. But for Clinton this time to barely edge out Sanders, who was dismissed as a gadfly just months ago, showed continued weaknesses for the former secretary of state among significant portions of the Democratic coalition — particularly younger voters and those seeking a more progressive vision. And it demonstrated the limits of a state-of-the-art political operation to make up for lingering doubts with the candidate herself, who on paper seemed to build a campaign that did everything right this time around in Iowa. Meanwhile, the third candidate in the race, former Maryland Gov. Martin O’Malley suspended his campaign after failing to gain traction in the state he poured most of his campaign's time and resources into. 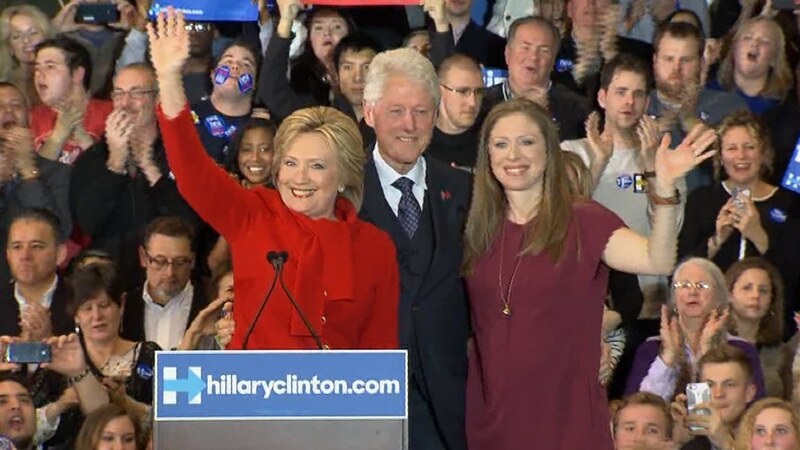 As Clinton took the stage at her election night party here with her husband and daughter, the Democratic frontrunner said she was “breathing a big sigh of relief,” before thanking her supporters and rival candidates. Former Sen. Tom Harkin, one of Clinton's top supporters in the state, was a bit more bullish. “A win is a win,” Harkin said, but acknowledged that it was “narrow." At his own party across town, Sanders said the race looked like a "virtual tie." 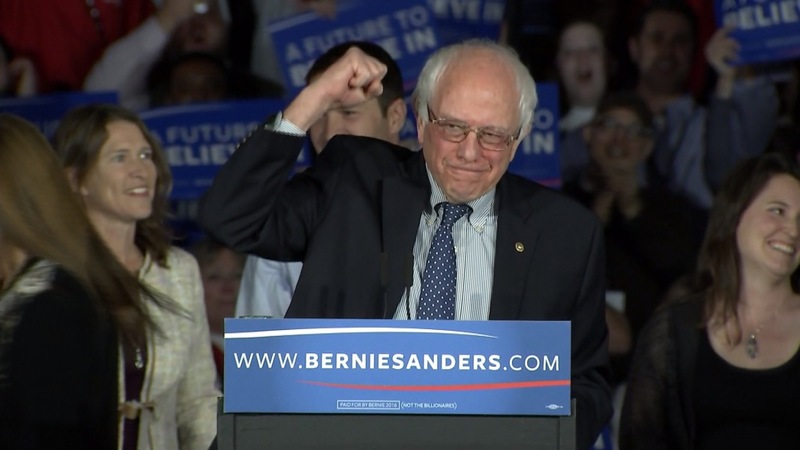 But he still struck an upbeat tone, saying, "what Iowa has begun tonight is a political revolution." The stakes were always higher for Sanders than Clinton going in Iowa, as she can withstand a loss there and in New Hampshire, where Sanders is far ahead. Sanders was seen as needing a win in both early states to change the expected trajectory of the race as it moves into more diverse states later in the calendar. Behind the scenes, supporters of both candidates moved quickly to spin the result as a win for the candidate, but it will likely be a heavier lift for Clinton, given her enormous advantages over Sanders. Clinton supporters argued that if he can’t dominate Iowa, he can’t win elsewhere. "Unique demographics of Iowa + very high turnout should have meant Sanders perfect storm. Instead, Clinton still leading a close race," former Obama 2012 campaign manager Jim Messina tweeted. Sanders’s backers, meanwhile, argued the Iowa results were a huge embarrassment for Clinton, with all her money, establishment backing and political skill. Sanders is not Barack Obama, who combined a unique political talent with a revolutionary campaign organization and huge demographic advantage. While Clinton and her campaign struck a bullish tone in the final days of the Iowa contest, Sanders’ team seemed to be setting expectations lower. In private, while Clinton aides said they were confident, many Sanders advisers acknowledged the winds seemed to be blowing against them in the closing days of the race. Indeed, Clinton seemed to have all the advantages heading into the race. The entire Democratic Party cleared the field for her and then lined up to support her with endorsements and money. In Iowa, she built what many Democrats called the strongest field organization the state had ever seen, even surpassing Obama’s famed operation from 2008. And the quirky rules of the caucus system seemed to tip the scales in her favor. That ground game may have served to keep Clinton above water, but it did not give her a mandate in Iowa. Still, Sanders had his own advantages in the state. Iowa’s caucus format and the long run-up to election night often levels the playing field for insurgent candidates like the senator. And the Democratic electorate’s demographics in Iowa — overwhelmingly white and liberal — more closely aligned with his home state of Vermont than other states. And perhaps his biggest advantage was his perceived authenticity. Heading into New Hampshire, Sanders — with his neighboring-state advantage — is far ahead in polls and favored to win the key primary. But the landscape tilts heavily in Clinton’s favor beyond that as the campaigns head into states with larger minority populations, where Sanders performs poorly. Clinton is as much as 40 percentage points ahead of Sanders in South Carolina, and also favored in Nevada, which has a large Hispanic population. Ultimately, Iowa and New Hampshire are not worth much when it comes to all-important delegates, who actually elect the presidential nominee. More delegates come beginning on March 1 — also known as Super Tuesday — when 11 states will compete all at once. That includes many states in the South with large nonwhite populations. Campaigns had one last chance to sway caucusgoers inside the room at the 1,681 precincts across the state of Iowa. There’s no secret ballot for Iowa Democrats, and the entire precinct gathers at once, so it’s a very public affair with plenty of peer pressure. In 2008, 11% of Democratic caucusgoers said they made up their mind the night of the caucus, and those that did broke heavily for Barack Obama over Hillary Clinton, which many chalked up to infectious energy of the underdog’s backers. At Democratic precinct site 113, a swing caucus in West Des Moines, only 5 O’Malley supporters showed up, leading to intense lobbying by both Clinton and Sanders supporters. But despite the Clinton campaign’s high-tech organization, the lobbying actually backfired after one Clinton supporter said Sanders was too old to be president. That didn’t sit well with John Coalm, 88, and his fellow O’Malley backers. Despite the millions of dollars and person hours, not every Iowan thinks the state’s primacy in the nominating process makes much sense. As he surveyed the messy caucus process, Paul Heddinger, who supported O’Malley and then switched to Sanders was not impressed. “Can you think of a stupider way to elect a president?” he asked.